. إن الخدمات التي يقدمها فندق سوليفانز تضمن للنزلاء إقامة مريحة. يمكن لضيوف الفندق الاستمتاع بالميزات التالية على أرض الفندق: خدمة التنظيف يوميًا, مجهز لذوي الإحتياجات الخاصة, مطبخ, مكتب استقبال 24 ساعة, مرافق مخصصة لذوي الاحتياجات الخاصة. تتضمن كل غرف النزلاء وسائل الراحة والتسلية المصممة خصيصاً لضمان الراحة القصوى للضيوف. يمكنك الاستمتاع بالأجواء المريحة التي تقدمها مسبح خارجي طوال النهار. يشكل فندق سوليفانز بخدماته الراقية وموقعه الممتاز، قاعدة مثالية للاستمتاع بإقامتك في المدينة. 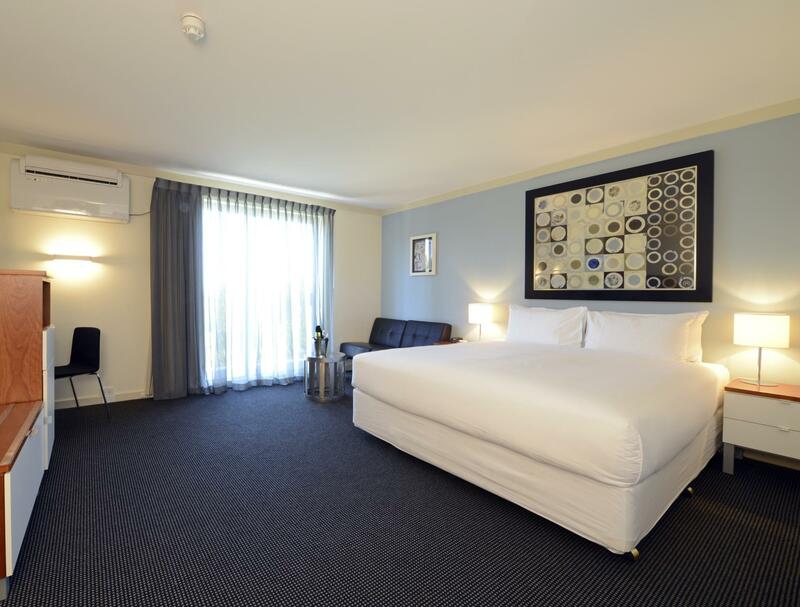 This hotel is within walking distance to city, or there is a free bus to the city. It has a good restaurant for breakfast and dinner. The pool is small, but good. The room was clean and the staff efficient and friendly. Highly recommended. Excellent location near to Kings Park and quay. Friendly and very helpful staff. Very good food and service in restaurant. Clean room and bathroom. Comfy bed. Would definitely stay there again. Nice swimming pool. A wonderful location for a stay in Perth. 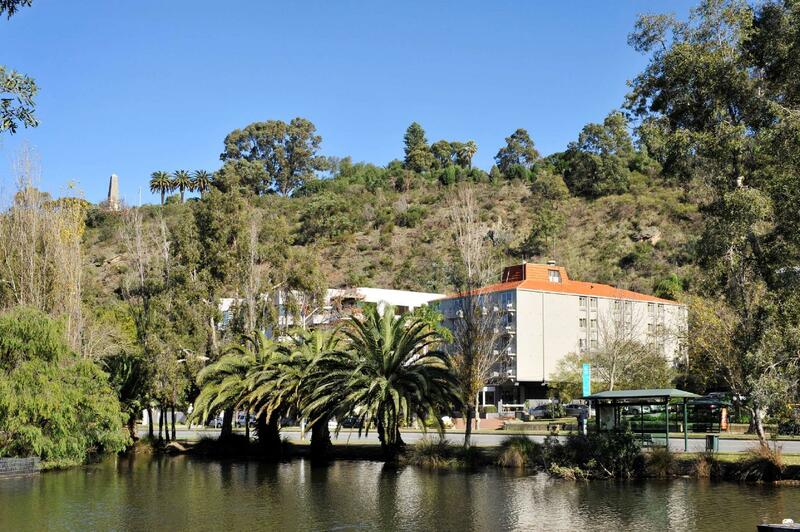 This is a great hotel, situated just next to the Kings park and it’s botanical gardenand the Swan river. In fact we went on a free walking tour of the Botanical garden which was fabulous. There is also a free bus that stops just outside the hotel that will take you into Perth CBD or Elizabeth Quays. Rooms were fairly spacious, clean and quiet. Would definitely book again if we come back to Perth. We stayed here after visiting Margaret River. We arrived at the hotel in the evening. The reception staff was friendly and professional. She is aware of our prior requests. Which is a plus point. We were satisfied with the room assigned to us. Clean and the bedding is very comfortable. The toilet is clean. It has strong and stable water pressure (hot&cold). Location wise is fine as it is near to the Kings Park Botanical Garden. However, we did not see any nearby convenience store. Free parking is available but subj to availability. We had minor issues with the bedside lamp, it was faulty and the water from the wash basin tap was rusty the first time we used it. But after running the water for a while it becomes clear again. It wasn't really a big deal. We still had a comfortable stay. We stayed here for 2 nights to see the new year in really enjoyed ourselves. We had a top floor room with balcony overlooking the CBD towards the Swan River. The restaurant has very good food and service and reception staff are very friendly and helpful. Breakfast was excellent. They have a swimming pool which looked very inviting but we didn't have time to try it. We walked up to Kings Park, to the Swan River and also to the city centre without trouble at all as they are all very close. Comfy bed and linen. Small, in-room safe. Booked a total of 2 + 2 nights this trip before and after heading north. Free parking is around 70% to 90% full but during desperate times, you can probably sneak in next door at the hospital. 24/7 manned reception helps and friendly folks. I drove so didn't bother with the bus but there should be a free city shuttle bus that stops right outside. Many guests are those visiting, accompanying or checking in for a hospital visit next door, so very modest and quiet folk. Booked the hotel as an alternative to an Uber to and from a 50th Birthday party so we were only there for one night. Great location for the city attractions. The bed and pillows were so comfortable and the complimentary parking is a bonus. Would stay there again. It’s getting old and needs a complete overhaul it has no WiFi in rooms and when you do connect it’s so slow it’s pathetic, the toilet has really cheap fittings and the shower is awful also it has a smell of stale urine in the corridor. Stayed at the 'Sullivans Hotel' due to appointment at the Mount Hosp. Perfect location. Staff very obliging, great food in restaurant. Booked through Agoda, very conflicting information and watch for US dollar quotes. Great room for an older hotel. Very clean. 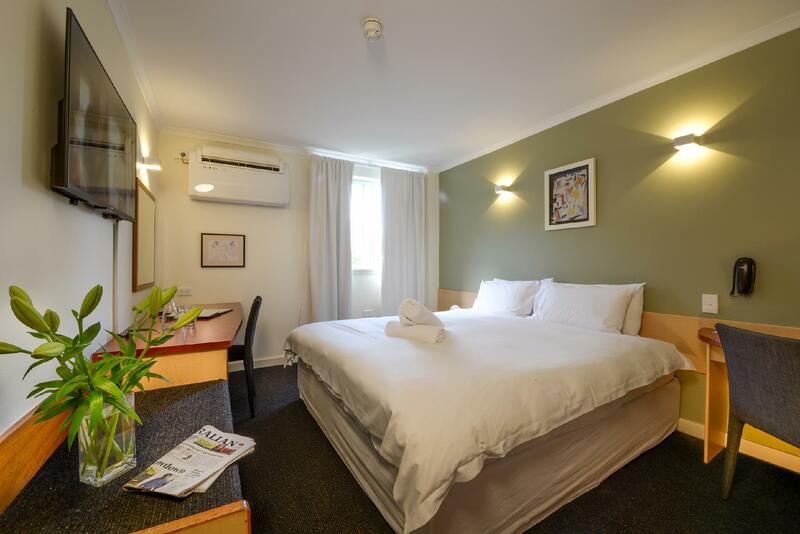 I was a little hesitant to stay here cause I normally stay in hotels rated higher and closer in Perth, but when other hotels were at charging at 3 times the cost of this hotel!! How wrong was I...this hotel was amazing value; its clean and tidy, has everything you need for a comfortable night and the bed was one of the best ones I've slept in at a hotel!! Would seriously stay again in the future when attending an event at the convention centre!!! Checked in early as the flight arrived early. Parking was free and no hassle. Rooms are clean and comfortable. Location was great. Short walk to city. Swan river. And king's park. Will recommend. And stay here again. In general this is a good option for staying. Reasonable price, friendly staff, nice food, good location. Only the bathroom is a bit unideal - toilet water takes long time to stop leaking, shower place is easy to get messy, shower head is not convenient to use. When i arrived, I thought this is just like another budget hotel... simple.... but it's simplicity comes with the excellent services. Everything was great except I noticed the house keeping not very standardized. Otherwise, Great place, great location (next to Mount Hospital, Kings Park, Swan River, ponds, playground) and easy access to bus stops to ride for free to the CBD. I had a very good and nice experience. Absolut friendly staff!!!! clean room, bath must have been upgraded since my last stay. Room decoration needs some upgrade too but over all the room was good and clean! I will come again as you can not find such a value for money. Free internet (even though not the fastest but workable) and free parking are some of the great add ons. The staffs are friendly and helpful, room was clean and comfortable, free parking. Wifi is weak in the room. Good for a night stay. Simple room with outdated decoration. Super friendly staff and free parking. Great location. Beautiful small hotel. Easy access to the rest of Perth. We stayed here one night as we had a wedding nearby. It suited our purpose perfectly. Had a really comfy bed! There aren't any shops/cafes etc. close by, so no other breakfast options apart from the hotel unless you want to head into Elizabeth Quay or the city.